I'm jumping onto this bandwagon a little late, I know. Last year this book was everywhere - everywhere - and though it piqued my interest with that gorgeous cover, somehow I never found myself picking it up. I've always been wary of hype (perhaps I was a hipster in a past life) but I don't think it was the hype surrounding this book that put me off it, because I love historical fiction and I especially love historical fiction that isn't set in the usual period or country; before I read this I'd never read a book set in Amsterdam, and I'd certainly never read historical fiction set in Amsterdam. I actually know very, very little about the history of the The Netherlands, so I was very intrigued to read a book set in a time and place I know so little about. If this is to be my introduction to Amsterdam, it was a wonderful one. In terms of setting, this is one of the best novels, historical or otherwise, I have ever read; Burton brings 17th century Amsterdam to life so vividly it felt like I was there, like I was walking through the crowded streets with Nella on one side and Cornelia on the other, and when I go to Amsterdam - whenever that may be - I'm going to be surprised when I don't go back in time. Not once did this feel like a history book, because Burton has that wonderful talent for seamlessly weaving information and world building into her narrative without making the story seem clunky or dry. Burton's writing is probably my favourite thing about this book. 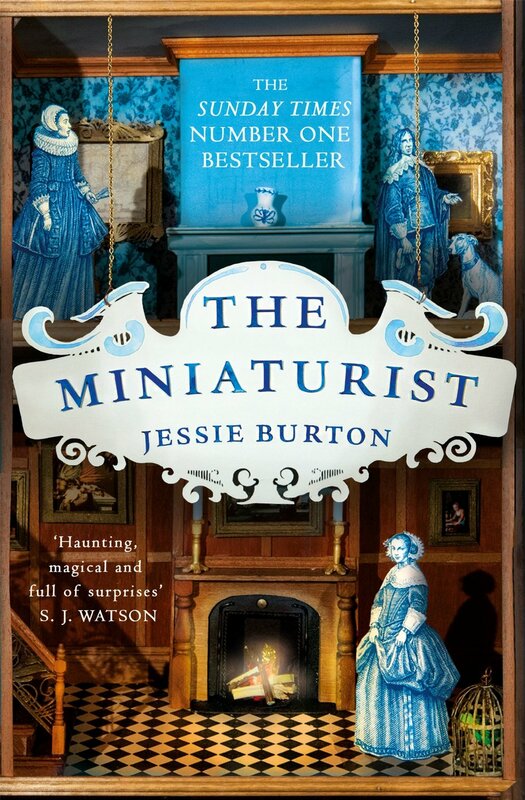 That this is her debut novel is astounding, because her writing is so sumptuous and rich and yet so very easy to read; when I started reading The Miniaturist, not entirely sure if I was in the mood for it, I soon found I'd breezed through the first third of it in about an hour and a half - it's so readable! If she can manage this kind of language, this kind of stunning craftsmanship, in her debut novel, then I am very, very excited about what she might bring out next. As I've mentioned in reviews before, it's characters that make a book for me; if Burton had written beautifully about characters I didn't care about I wouldn't have liked the book, no matter how lovely her sentences are. Characters are just too important to me. Luckily I needn't have worried here; Burton has one of those rare talents for giving each of her side characters as much history and agency as her protagonist, perhaps even more so! Nella may be our protagonist, but this is not Nella's story; this is how Nella wades through everyone else's stories. In fact if I wanted to describe this story in simple terms, I'd call it a coming of age novel. I finished this novel feeling that Nella's story wasn't over, but rather that it was only just beginning. I particularly loved Marin, Nella's stern and superior sister-in-law, who is wonderfully written and so very real, but each of the other characters, even the ones I didn't like, were written remarkably well. Like Sarah Waters, Burton writes people, not characters. So I've sang this novel's praises, but I couldn't give it five stars. Maybe I'm just feeling particularly critical, because I did love this novel and there's no denying that it's an astonishing debut, but there were a few questions left unanswered; I don't always mind unanswered questions, but the ending of this book left me just the tiniest bit disappointed. The teensiest tiniest bit. It's still a remarkable novel, and one that I highly recommend checking out if it's on your radar! Great review Jess! I almost bought this the other day, but then put it back because I haven't had too much reading time lately, and don't want my TBR to get out of control. Now I'm regretting it! I will have to pick this book up in my next book buying excursion. Glad to hear you enjoyed it.